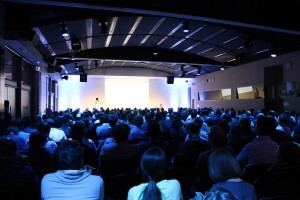 I attended the Google Analytics User Conference in Belgium yesterday. It was a good day learning more about the possibilities with Google Analytics. I had a specific interest in measurement protocol but there were a few other interesting take aways too that I thought I would share with you. There have been a few changes in the past few years and the big one was Universal Analytics which added new features and flexibility. In the conference a new product was released, or, more accurately, a new feature was added to an existing tool: Google Tag Assistant. The new feature is called “Google Tag Assistant Recordings” and adds the ability to create a diagnosis of what Google Analytics would record from a visit. Yes there are good tools for testing out there; Tag Assistant would give some basic information, tools such as WASP and Google Tag Manager Diagnosis tool all give an indicator as to what Google Analytics should track, however none of them show what it would track. One of the cleverest parts of the tool is that you can make one recording, and then use that to test multiple implementations as you make them. To me, this could be a revolution. I hope that the days of making a change, waiting a day or two and seeing if things look about right are over. Assuming things work as they did in the demo, we should now be able to more confidently identify, resolve and test issues. With browsers like Firefox you will need to create a HAR file and import this into Google Tag Assistant Recordings (this can also be used for collaboration as the file can be sent by email).